As before you can "discard" everything from the session on page save. If you don't see there were no changes. Dialogue boxes adjustable to the size you prefer and remembers where you placed it. 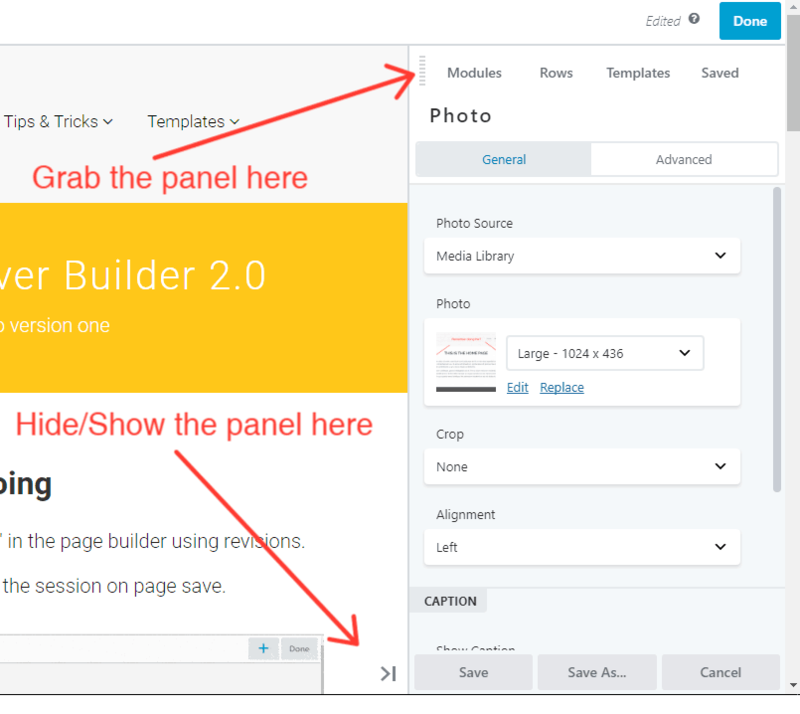 Not listed in the page builder: Ctrl or Cmd +P (Publish changes without leaving Page Builder) and Ctrl or Cmd +E (Re-enter Page Builder after publishing). B shows global settings for the Ultimate Addons for Beaver Builder plugin (cheeky aff. link). Developer types can also make their own shortcuts. Note: Esc (Escape key) Closes the active window, BUT this shortcut is disabled if there is any risk of data loss, such as Tools settings windows. 1. If working from a psd perhaps now it would be more efficient to work on the page columns (adding background, padding/margin and responsive setting) before adding modules? 2. It maybe worth chunking work and publishing with a Ctrl or Cmd +P. So you don't have to use revisions or lose everything. If it's a live site you could use Hugues Audouard's tip on using Templates? 3. It maybe worth doing more Page Layout CSS to keep unique page work faster? 4. It could be worth creating your own shortcuts and checking on the Beaver Builder Knowledge Base for new articles on 2.0?